Hello. I'm Steve Sharland, Owner of Mathnasium of Don Mills, your neighbourhood math-only learning centre. We help kids in grades 2-12 understand math by teaching the way that makes sense to them. Mathnasium of Don Mills is located at the popular Shops at Don Mills at the intersection of Don Mills Road and Lawrence Avenue East. Call us today at (416) 281-6284 to book a FREE Trial or Assessment and see how we can help your child! Our children have taken a liking to math. Their skills have improved dramatically. The staff is remarkable! Another positive aspect we have noted is that after the math session their behavior is more controlled, perhaps because math triggers the logic part of the brain. Flexible schedule and helpful, useful lessons for the kids to truly learn. My Kids always look forward to Mathasium! They are A students thanks to the great teachers at Mathnasium! Thank you! Mathnesium made my daughter more interested in math . Her marks are now much better. Beacause of your help with my son’s Math, he feel like he is confident now.Thank you for your help.Have a great day! Very warm and friendly staff. Always accommodating. My daughter actually looks forward to going to Mathnasium. Thank-you! A wonderful low stress experience. Schedule some sessions and watch your child’s math anxiety go away. A little one of one help is all it takes. Ivan and the team at Don Mills Mathnasium have been fantastic. They have helped my daughter learn math and are so encouraging. My daughter loves going to Mathnasium and I highly recommend it!! Your people are patient, kind and make the students feel like a million dollars!!! Very organized and accommodating. Good results. Very accommodating and try very hard to work with the student, the school and the parents. My son actually enjoys going to Mathnasium to learn his math. Thank you Mathnasium! My kids are doing well in their math. Great, knowledgeable staff with enthusiasm! I highly recommend Mathnasium. I am extremely happy with my son’s progress in Math. My son is getting excellent grades in school. He’s showing great understanding and interest in Math. The instructors at Mathnasium are extremely professional. They show great cooperation in helping my son in his homework and math test. All the staff are extremely polite and friendly. I totally love the way they teach Math. I keep mentioning to all my friends about Mathnasium and how it is a great investment to my son’s progress in school. Thanks Mathnasium for all the efforts done to Nizam. We’re very thankful and happy. My son has been attending Mathnasium for the past three years (he is now in Gr 7). We wanted him to tackle more challenging math than he was getting in school, as he is in the Gifted program and finds school math too easy. We had looked at Spirit of Math, Mathnasium and other math programs, but ultimately left it up to him to decide which program he wanted to enroll in. He chose Mathnasium; while he would prefer to play video games, he said he actually enjoys going to Mathnasium because the staff are nice and friendly and the math is fun but challenging. Frankly, because he goes voluntarily, I am surprised and delighted that he still goes. We have recently enrolled my daughter at Mathnasium and the teachers really took the time to help her with Gr 9 math, which she is finding difficult. So all in all, we are very pleased with Mathnasium, and think it is money very well spent. My son enjoys attending. He loves math. The Mathnasium of Don Mills staff and tailored program has been excellent for my son. He has significantly improved his confidence, enjoyment and academic success in math as a result, getting A+ on most math tests and assignments now! I want him to continue with the Mathnasium program in future years and I would definitely recommend Mathnasium of Don Mills to any parent. Thanks! overall well done...the grade 12 teachers really helped pull up my sons marks. The mathnasium sessions are a very positive experience for our child. Gabriel has gained more confidence and is progressing well. Thanks for all your efforts. I was happy that my daughter took extra math classes in magnesium. The teachers are professional and have experience to manage the students. They gave me a full report of my daughter and explanations of her performance. 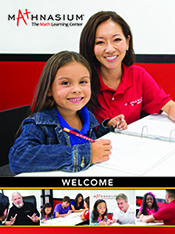 I really recommend this place to help children to improve their math. Sometimes it is better to invest money to our children if it is for a good result. I am really happy with program because it really helped my children in their new school. They are doing great with their math classes and I am impressed by their scores: 90-100%. I strongly recommend Mathnasium to any parents who want to improve their children level in Maths. Thank you so much! Educated, friendly staff. Great environment. Huge motivation was build during the summer class for my son. Will definitely register for next summer! Ivan is great. My son’s confidence has included significantly. You guys make a difference and your teachers are committed. My children like the place and the way your team is teaching them . I personally appreciate your services: the tutoring, the flexibility of th schedules, the online appointment system. My son enjoyed his Mathnasium experience . It definitely made him a better student ! Great Staff, and environment. My son loves it and so excited to be there every day! Our daughter loves Mathnasium. She improved her math skill and gained confidence. Excellent program and staff. Always able to accommodate my son’s needs and his busy school schedule. Highly recommend to any child requiring extra help in math. Our children have done very well through the program. We have two kids. One is in high school and one that just finished elementary (grade 8). They both have had great success. Thank you Steve and team ! My son always enjoys going to Mathnasium. He is playing hockey in college and found from the athlete's perspective it was great exercise and training of his brain . He highly recommends Mathnasium !!! Mathnasium class is not just about math is family. My kids find the staff so friendly, helpful and a pleasure to work with. its been a very positive experience for them. Amazing tutor Danielle! She has gotten through to Tara like no other. Administrative staff or super supportive. Some of the other tutors have had trouble doing the work Tara is doing. That was a little surprising. Mathnasium really keeps the kids focused on math all year long and helps where they are struggling. Keeps math in the forefront of their minds especially when they don't have math in a particular semester in high school. My daughter gained confidence in math and has improved her math skills immensely. She loves going to Mathnasium! My daughter has started not too long ago with Mathnasium and already has a better attitude and confidence towards Math! everyone is very nice & helpful. My daughter looks forward to going. We have and will continue to refer Mathnasium to children who want to improve and/or maintain their math skills. Our kids have benefited and enjoyed their time at Mathnasium. In fact, they are often upset when they have to miss it! My kids have greater confidence with math since attending Mathnasium. My daughter insisted she could never learn her multiplication tables because it was too difficult - now her classmates approach her for help with math in class! Our son’s confidence in math improved dramatically! He learned a lot of math tips that greatly helped him in school. Our son saw almost immediate improvement in his confidence. He actually looks forward to sessions. Ivan is especially attentive and calm and ofcourse skilled at helping my daughters adapt to and look forward to their time at Mathnasium. However every teacher I see seems to move around the room and work as team to support the kids. My daughters look forward to the stars And my 9 year old was doing home work the other day and said... I am going to use a trick/tip I learned at Mathnasium. Overall it's clean and organized and the online booking and flexibility are really appreciated. Well done! We've been really happy with Mathnasium in helping our children learn the basics, and feel more confident about their ability to do math. Friendly and accommodating staff, excellent instructors and my kids really like it! Great place to learn. Help is always availabe. My son enjoys going to Mathnasium. My emails are always answered promptly regards to my son's development. The staff is friendly and approachable. Love the team. Love the methodology! My child is happy there. Why wouldn't I highly recommend??? Keep up the great work. My daughter enjoys going to her tutoring sessions! The staff is so friendly and supportive. My daughter always feels comfortable asking questions and feels confident after every session! It was very helpful for our high school son. Great instructors, very smart system! Mateo is understanding Math and seems to have gain more interest in the subject since he started at Mathnasium. My daughter really enjoys the interactive learning experience. Our daughter, who is 8 year old loves Mathnasium. She was at Don Mills location for one week during March break. The knowledge she gained helps her a lot in school, and more than anything else, she started to love math. Great experience for us. Thank you a lot. My daughter enjoys her weekly math sessions and she is gaining confidence in math weekly! Great and supportive staff. My son truly enjoyed his experience with you all. My son continues to excel in math since attending Mathansium. Good programme! Keep it up! We had a really positive experience with Mathnasium. My son was getting along so well last year that my daughter asked to come too. I like how the assessments allow for individually tailored programs to fill in the weak spots before moving ahead. I also found our particular centre particularly flexible about going over particular areas my son was having difficulty with in school, at any particular moment. Great team of people there! My daughter enjoys going for her sessions and the rewards system is a great motivator for the kids! Great experience working with a friendly and knowledgeable staff! It's only been a few weeks, but our "doesn't-really-love-math" little guy REALLY loves going here. We're so pleased with our decision. Staff is super-welcoming and the environment is peaceful yet engaging. It is a great teaching resource for filling in any gaps my children have in their math education. Catherine now tells everyone that Math is her favourite subject! Thanks!!! My kids started attending Mathnasium over the summer and yesterday my 10 year old told me she likes math! The teachers at Mathnasium are great and my kids look forward to attending. The most important marker for our happiness is our children and that we are seeing that they are learning. We were a little apprehensive at first but this is working perfectly for our children - the fact that they work independently and you push them. I would prefer a little more pushing, but I am trusting your experience. The staff are extremely friendly, the environment with the educational games nearby is wonderful and we also loved the summer flexibility pack because it's always hard to schedule in the summer with side trips etc. Staff is very friendly and my children really enjoyed the sessions. Well done! When my 8 year old son walks into Mathnasium, he is greeted with a chorus of hellos from all the staff. The toy incentive really motivates my son to get through as many sheets during his lesson. Also the 'one on one' attention is really what he needs but doesn't get when he's at school. Although we are new to Mathnasium, we have experienced so far, patient teachers who act professional and are knowledgeable educators. Our math instructor was very patient and knowledgeable. Sharis took the time to make sure my daughter thoroughly understood the unit before moving on to the next unit. Thanks so much Mathnasium!! We've had a great experience at the Don Mills location. Instructors are knowledgeable, friendly and always welcoming. Good service and instructors, easy to book appointments. Will know more regarding how effective the tutoring!is once my daughter takes math again (semesters school). Very satisfied so far. Our son looks forward to his sessions at Mathnasium. I tried to help him with his math work and he told me I wasn't like the teachers at Mathnasium! For the time that he has been going it has been a wonderful, positive experience and I'm sure with more time and practice his math skills and more importantly his confidence will further improve. Thank you! The team at Mathnasium are great with both my kids, grade 7 boy and grade 11 girl tayloring the support to their needs. The kids really enjoy the environment and the sense of progress and reward. My kids love math because of Mathnasium! We have always had the same instructor (Sharis) and she is absolutely amazing. My son throughly enjoys coming. From my observation staff are friendly, professional and learned. The atmosphere is conducive to learning and open for students to interact with tutors. Emma is enthusiastic about coming to her sessions and gets a lot out of them, feels confident. Seeing the excitement in my son's face when he received his grade 5 post assessment was priceless! My son went from hating Math to it now being one of his favourite subjects. Your program is amazing, the practice sheets and one on one instruction is exactly what my son needed to get back on track. He tells his friends about it in school...you can't get better word of mouth advertising than that. Thank you Mathansium for giving my son his confidence in Math back. The great learning environment and helpful tutors have made our son more confident in himself. He does not mind coming and it has taken the stress off of us. We are his parents again, not his math teachers. Mathanasium found a way to engage my son actively in math. His confidence level to solve problem have increased tremendously within 3 months. We have found great success with our son, Graeme's, progress with Mathnasium. The staff understand his needs and are attentive to ensure his learning plan is taught to adjust to this. The staff are always friendly and encouraging and have made math enjoyable for him. My son loves going to Mathnasium to practice math. Despite being an A student at school, he feels challenged at Mathnasium and really enjoys it. Thank you for a wonderful service. My daughter loves it and her confidence is improved after just four sessions. My son enjoys attending his sessions and his confidence is improving weekly. It is lovely to see him enjoying maths! Mathnasium of Don Mills interviewed by Global TV on "Hour of Math A Day"